As some of you already know, I was fortunate enough to be invited by the glorious Abimarvel to work alongside her on one of her many projects, “The Apartment” during London Fashion Week. Following it’s success last season, I am incredibly excited to be apart of another season since it’s going to be Bigger, Better & completely Blogalicious (Yeah, I really just said that)! I can’t give too much away just yet.. so for now, I’ll update you on an event I went to on Tuesday. Let’s start with what I wore that night. This was the first time I’ve ever worn my Lita’s since receiving them as an early Xmas present at the start of December. Partly because I was waiting for the right outfit but mostly because I just expected them to be uncomfortable. Obviously, any sane person would pick a night requiring minimal physical activity so that one may gently break them in. 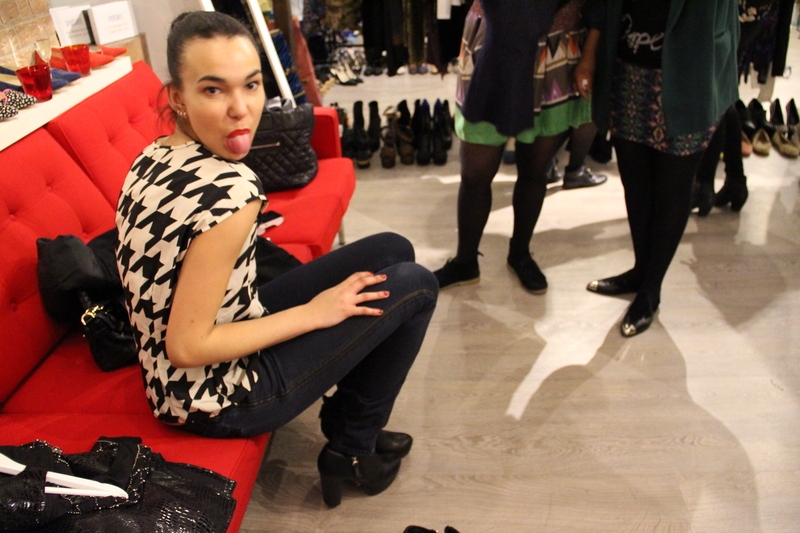 Not me though.. no, I casually decided to trek to the other side of London in them. But I have to say, they were surprisingly comfortable.. and even if they weren’t, the number of compliments and questions I got about them more then made up for it. 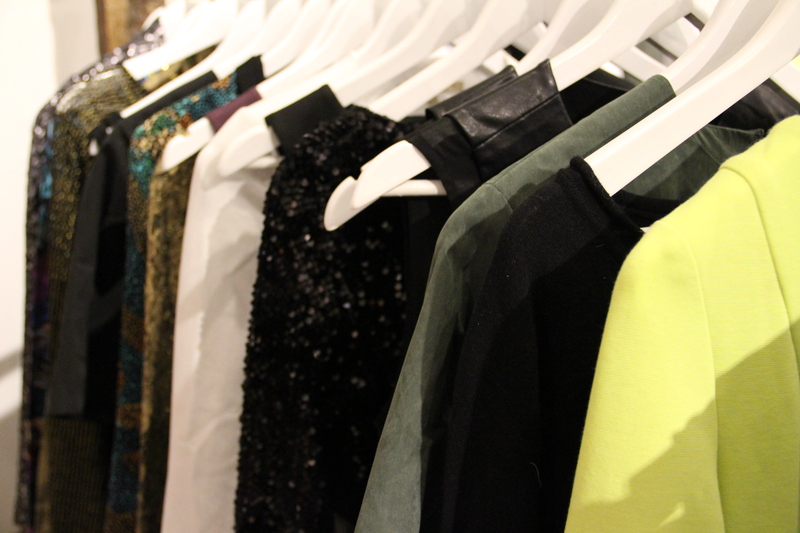 I teamed them up with my disco pants, a plain black cami and my new Cobalt coloured blazer. I kept the jewelry light since the shoes made a big enough statement by themselves. Now, enough about me.. Back to the night. 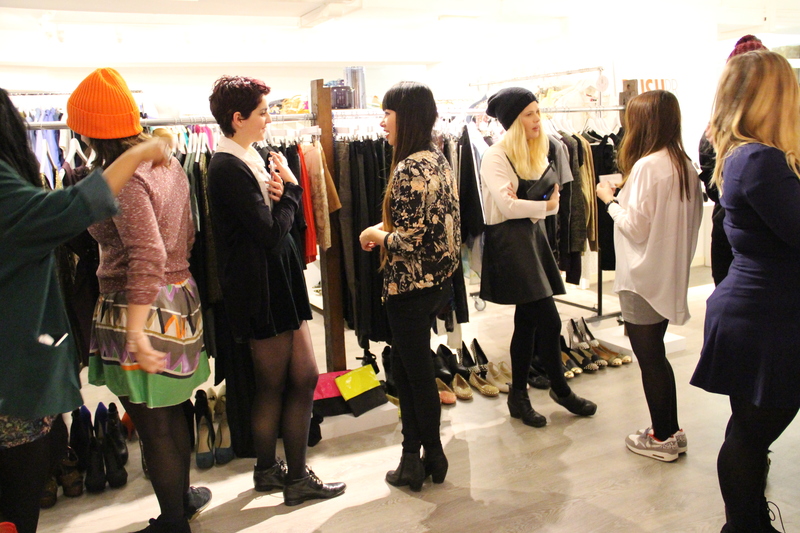 The Apartment collaborated with PushPR to bring a select number of bloggers the #LFWDressUp event. Held at PushPR‘s funky, warehouse-esque office building in East London, the night can only be described as every girls idea of heaven. 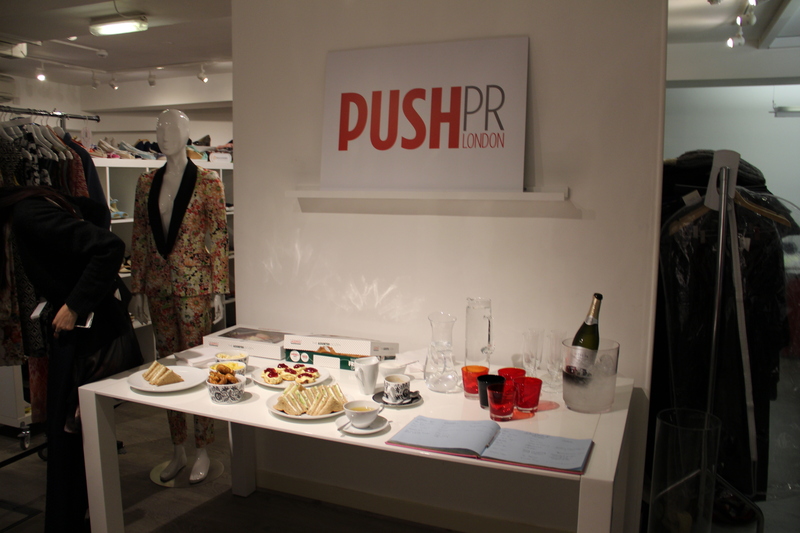 As you walked in, you were greeted by the gorgeous and friendly faces of the PushPR girls, drinks and a tasty selection of finger foods. And there it was, straight ahead of me.. Utopia. 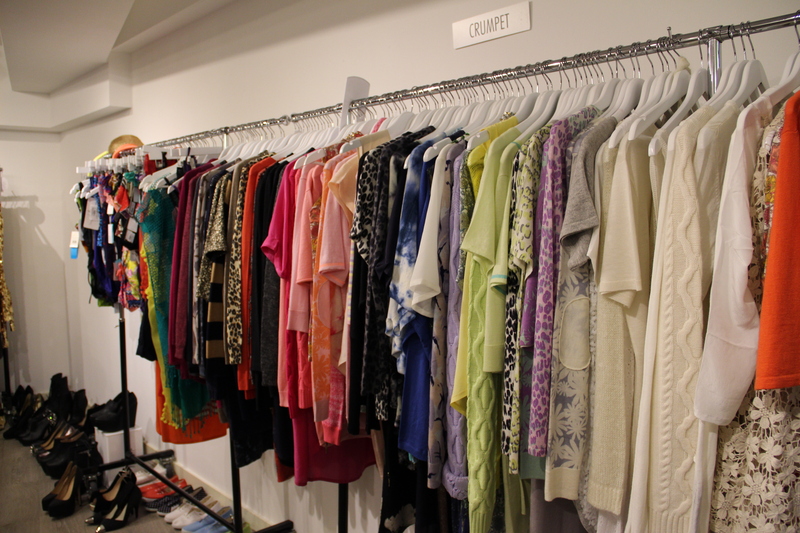 Racks and racks and more racks full of clothes, shoes, handbags and jewelry. 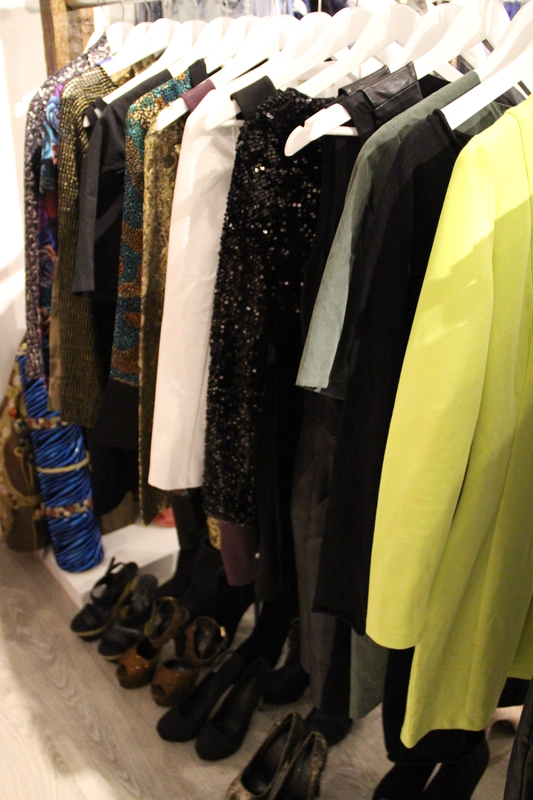 Part of the room had been especially set up with clothes from Nelly, Rockport, Sinequanone (to name a few..) for the bloggers to try on and take home to wear during LFW. Amazing right? Check out a few pictures I took of the night. 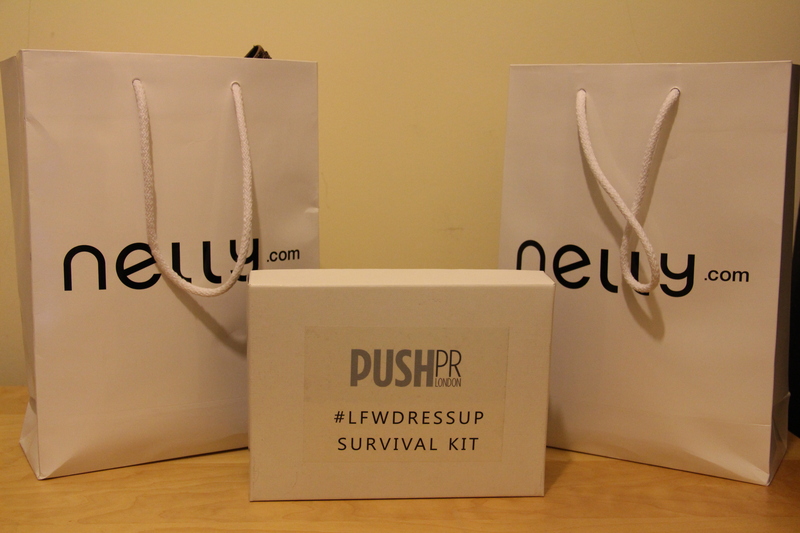 The other really neat thing that PushPR had put together for every one in attendance was a LFW Survival Kit full of all the essentials needed to keep a girl going during the madness that is Fashion Week. I got to take one home along with a few items to rock next week..
All in all, a great night had and what a fantastic way to get everyone in the mood and excited for LFW! I’ll be blogging about the items I picked out next week..
« That four lettered word..
6 Comments on The Devil is in the Detail. You look gorgeous! 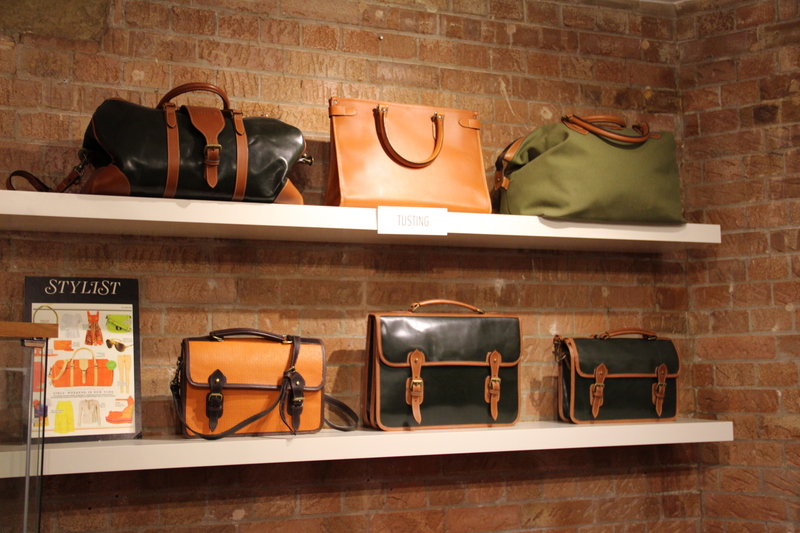 Such a shame I missed out – but look forward to meeting you at LFW! Your webpage absolutely does render appropriately on my iphone 4 – good work! Very good approach to get into character wow gold. Great for Travels. I purchased a magic as well ebony constructed out of that they developed which enables it to not necessarily more content!! !